Update: Don’t Find this setting on your Latest iOS 10, iOS 11, iOS 12 or later. Becuase new iCloud Drive renamed in Files app. Also, you can’t hide from Home screen like Former iOS version. 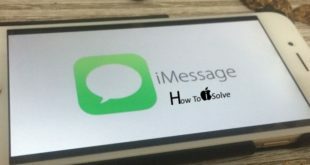 This article will teach you how to hide/ unhide or how to disable/ enable hidden iCloud Drive app icon on iOS 9: iPhone, iPad and iPod Touch. Especially tip for iOS 9 compatible devices like iPhone 6, 6 plus, iPhone 5S, iPad Air, iPad Mini. Apple has announced iOS 9 at keynote June 15. It was just previewed and in them not revealed all features of iOS 9. Notwithstanding, there are many hidden features in iOS 9 that the company hasn’t told during the event. The iCloud Drive was a feature in iOS 8, but it’ll come as App icon in iOS 9 with customize. You can Keep iCloud drive app icon unhide or hide on iPad, iPod touch, or iPhone home screen. Using that you can manage all iCloud drive files (images, PDFs, presentation, other documents) from iPhone home screen directly. For that, your iPhone iCloud drive app should be enabled to show on home screen. Because by default iCloud drive app command show on the home screen will be disabled. Might you’ve no idea how to see or enable iCloud drive app icon on iOS 9? Not worried, we have a tip to enable hidden iCloud Drive app icon on iOS 9 for iPhone, iPad, iPod touch. To see iCloud drive on-screen follows at below given instructions step by step. After enabling iCloud drive you can access your stored iCloud files from your iPad, or iPod, or iPhone home screen. Now, iCloud drive app icon will appear on your iPhone home screen alongside your other app icon. If you do not expect to see iCloud drive app icon on iOS device home screen then keep disable it. You should follow same steps as given above, just do toggle Turn off ‘’Show on Home Screen’’. That’s it. So as a result, you can’t see iCloud drive app icon on your iPhone home screen. 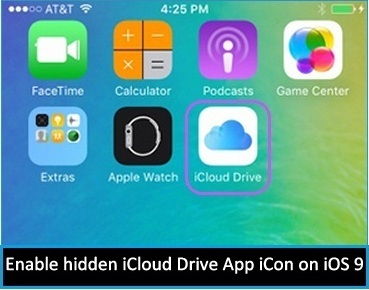 Please share with us your experience after doing enable hidden iCloud Drive app icon on iOS 9. And how easy to access iCloud drive files than iOS 8? in Your iOS 11.4, iCloud Drive Renamed with Files app.